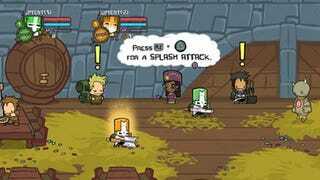 Castle Crashers is just about the best thing to happen to Xbox Live Arcade. And soon, it'll be just about the best thing to happen to the PlayStation Network as well. While there are no details on when the game is coming, how much it'll cost or whether the Sony version will include any exclusive content, we do know the game is real, and that it will be out sometime in the future. In the meantime, check out the below vid to see the PS3 port in action.